military to attempt to parade state government officials who were on election duties. Wike also said the state Commissioner for Urban Development and Physical Planning, Dr Reason Onya, called him (governor) when he was arrested by soldiers for being among approved Peoples Democratic Party agents. 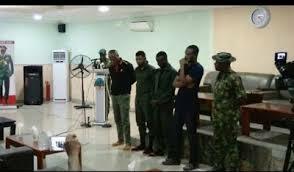 The governor, who spoke in a statement signed by his Special Assistant on Electronic Media, Simeon Nwakaudu, explained that he never attempted to induce any officer of the Nigerian Army. Wike pointed out that he requested to speak with an officer to demand the release of Onya, who was on legal electoral function for the PDP. He said the officer, who declined talking, called back later and he informed him that Onya was on a legal assignment. According to him, no bribe was offered to the officer of the Nigerian Army. “The army cannot be a judge in their matter. You cannot parade officials on legal electoral duties. You cannot change the narrative. They have violated all known laws,” he said. Wike insisted that the state government had written to the International Criminal Court to prosecute the General Officer Commanding of 6 Division of the Nigerian Army, Maj. Gen. Jamil Sarhem, for crimes against humanity. He stated instead of running in circles, the GOC should explain to Nigerians the reasons the military stormed the collation centres in Ikwerre, Emohua and Okrika. The governor stated that the issuing of false statement by the GOC, 6 Division, would not save him (GOC) from prosecution. He said, “We are doing a petition to the International Criminal Court. We are demanding justice for all those killed by the GOC and his lieutenants. “We will also send a petition to all the major embassies in the country on the atrocities committed against Rivers people by the GOC and his soldiers. We have also sent a petition to the Chief of Army Staff on the criminal actions of the GOC”. 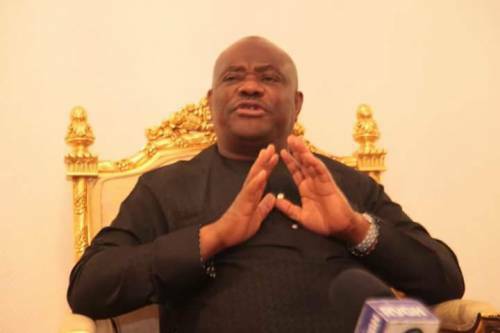 Wike stated that he had credible intelligence that the GOC had concluded plans to open fire on his convoy, with the objective of causing a deadly shoot-out.